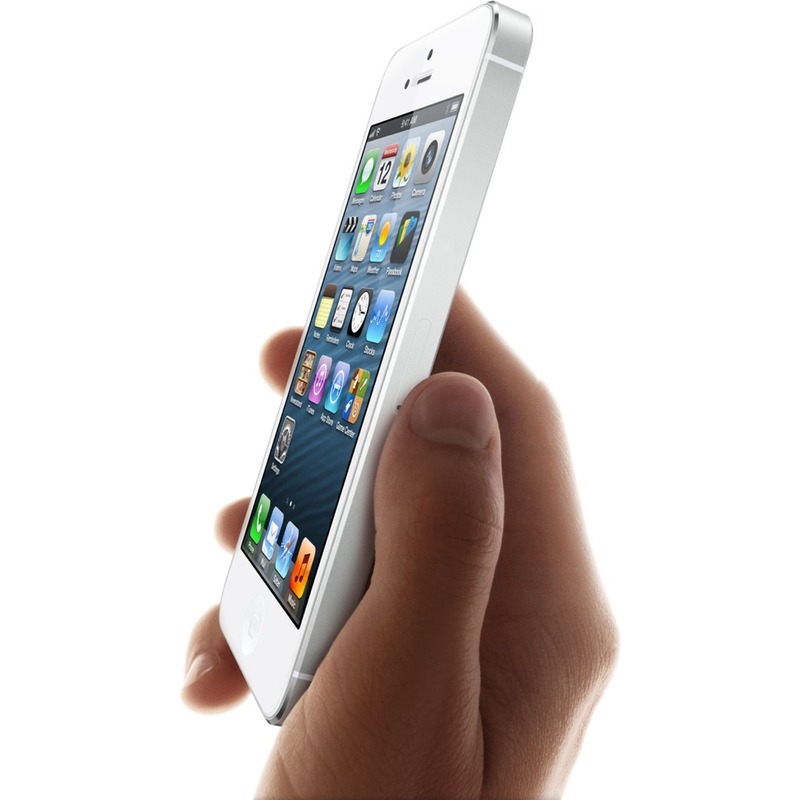 The first reviews of the new iPhone 5 have been published online. Here's an overview from each of the publications. The iPhone 5 is a significant improvement over the iPhone 4S in nearly every regard, and in those areas that didn't see an upgrade over its predecessor -- camera, storage capacity -- one could make a strong case that the iPhone 4S was already ahead of the curve. Every area, that is, except for the OS. If anything, it's the operating system here that's beginning to feel a bit dated and beginning to show its age. Still, the iPhone 5 absolutely shines. Pick your benchmark and you'll find Apple's thin new weapon sitting at or near the top. Will it convince you to give up your Android or Windows Phone ways and join the iOS side? Maybe, maybe not. Will it wow you? Hold it in your hand -- you might be surprised. For the iOS faithful this is a no-brainer upgrade. This is without a doubt the best iPhone yet. This is a hallmark of design. This is the one you've been waiting for. While the hardware and design here is cutting edge, the software plays it safer than we would like. For those of you that have already left the Apple eco-system for Samsung or HTC, for example, the iPhone 5 isn't likely to draw you back. You might marvel at the build and design, but Apple with the iPhone 5 has created a smartphone that is too safe for you: you'll feel too mollycoddled. Instead Apple has created a phone that the millions of current iPhone users will want to upgrade to. iPhone owners will love it, enjoy all those new features, and appreciate all the hard work, design, and engineering that has gone into it. The iPhone 5 is a phone that makes you feel safe. A phone that you know exactly how to use as soon as you take it out of the box and that is perfect for a huge number of people. It's a phone that, until you start craving the iPhone 6, will serve you very well indeed. Overall, the iPhone 5 is an absolute homerun. Apple has taken what I still considered to be the best smartphone (the iPhone 4S) and perfected it in nearly every way. And yes, that includes in the battery life department. While it's hard to judge against a year-old iPhone 4S, the battery seems to be a bit better than it was a year ago (though there were some iOS issues as well). Apple claims 8 hours of 3G and LTE usage, and that seems about right. If you've been debating getting the iPhone 5 - and it seems like many of you haven't debated it too much, with 2 million pre-orders - I suggest you make the jump. Even from the iPhone 4S, the iPhone 5 is a big, noticeable improvement. (Though of course I understand that carrier contract commitments may come into play there as well.) If you have an iPhone 4 or, heaven forbid, an iPhone 3GS, get the iPhone 5 as soon as you can. The iPhone 5 does nothing to change the pros and cons in that discussion. Windows Phones offer brilliant design, but lag badly in apps and accessories. Android phones shine in choice: you can get a huge screen, for example, a memory-card slot or N.F.C. chips (near-field communication -- you can exchange files with other N.F.C. phones, or buy things in certain stores, with a tap). But Android is, on the whole, buggier, more chaotic and more fragmented -- you can't always upgrade your phone's software when there's a new version. IPhones don't offer as much choice or customization. But they're more polished and consistently designed, with a heavily regulated but better stocked app catalog. They offer Siri voice control and the best music/movie/TV store, and the phone's size and weight have boiled away to almost nothing. So, what to make of this latest upgrade. There's no denying that the iPhone 5 is a lovely thing, and the best iPhone to date. It could well be Apple's best-selling unit ever. But a lot has changed in a year, and the current crop of Android superphones – and the incoming Windows Phone 8 handsets – have closed the gap. For nearly every "new" feature announced at the Keynote, there was a Samsung, Android, Windows, Nokia, Sony or HTC fan saying "my phone already does that." Apple's competitors never been closer in terms of quality, function and aesthetics and from your feedback on our social networks we know how many of you are jumping ship to phones with a bigger screen and more features. Given that iPhone 4S users can upgrade to iOS 6 and do just about everything the iPhone 5 can do, and that Android users can get similarly impressive handsets for less dosh, we reckon the smart money won't all be going on a new iPhone this year, even if the mass market can't get enough of it. It's good, very good. But it's no longer the best around. Living with the iPhone 5 for a week, I forgot about its large screen. I forgot how thin it was. I forgot about the camera improvements. Sometimes, I even forgot about 4G LTE, and got confused whether I was currently surfing on Wi-Fi or not. The iPhone settles in, feels natural, doesn't impose. Going back to my iPhone 4S, it feels thicker, heavier, small-screened, but no less impressively designed. Somehow, the iPhone 5 and iPhone 4S feel like they can co-exist. If you're looking for a show-off gadget, something with gee-whiz bells and whistles, then go somewhere else...except for the fact that people will inevitably want to see the iPhone 5 and grab it out of your hand. But, if you're looking for an excellent, well-conceived phone...well, here it is.